It was hazy. It was hot. And it was humid. But Cherry and I, along with a million or so mosquitoes, trekked the Swan Hill preserve in Higganum. We began June 26, at 8:30AM, parking at Haddam Elementary School during the first week of summer vacation and the first (unofficial) week of Cherry’s retirement. We skirted the playing fields and entered the woods at the northern most trailhead. We started our conversation with a discussion about communication and its challenges. 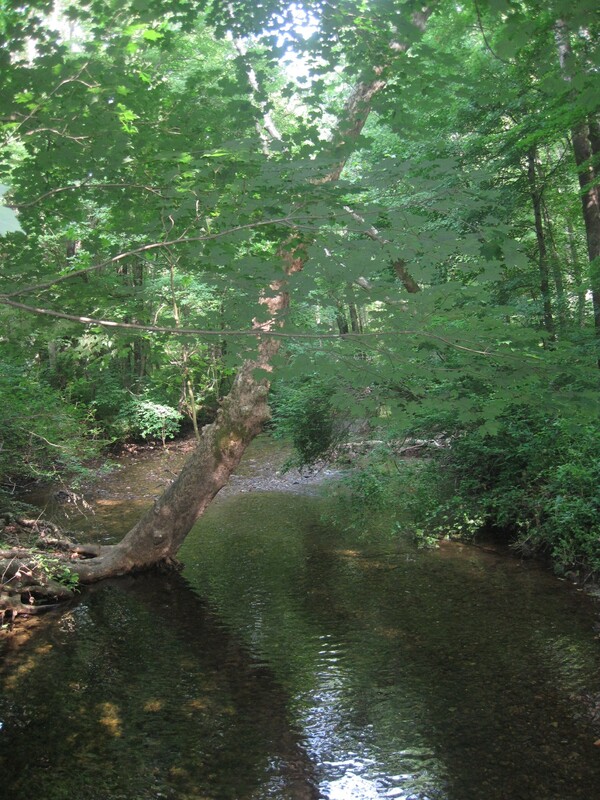 We hadn’t walked far before we crossed a Bible Rock Brook, looking lovely and refreshing today. 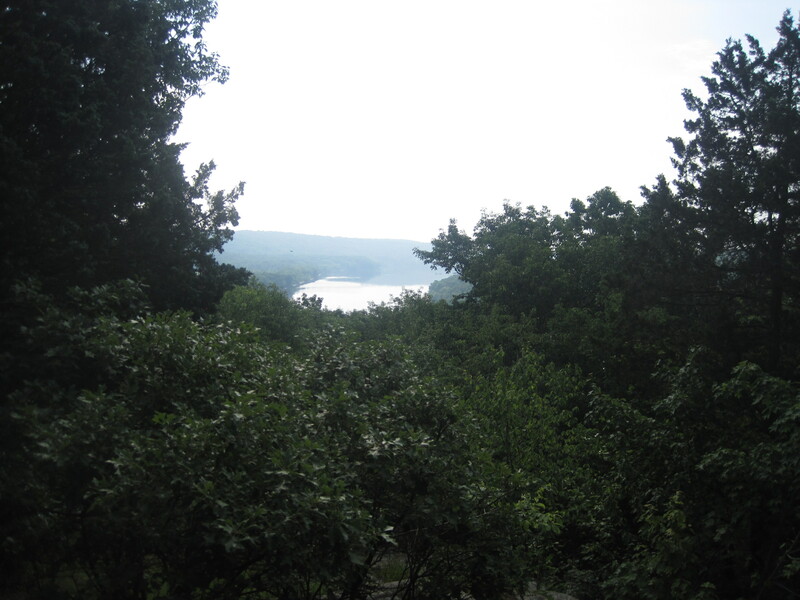 We climbed uphill to reach 240-foot Swan Hill and amazing views of the Connecticut River. We enjoyed the small bench at the top and continued assessing the pluses and minuses of several situations we were confronting. We were interrupted by a shout from a hiker, who turned out to be a church friend of Cherry’s and her two dogs. After a fun conversation, they continued on their way and we sat a bit longer before continuing in the opposite direction. The trail map (available at http://haddamtrails.org/wp-content/uploads/2012/08/SwanHill.pdf) did not include all the options on the ground. But we meandered around and were always surprised to discover where we ended. It was virtually impossible to get lost, but we were rarely certain where we were. We enjoyed the second vista that overlooked Higganum and the reservoir, where we had hiked earlier. By 10:30 we were happy enough to find ourselves again at the main trail junction and headed back to the cars, taking the more southerly trail back to the school playing fields. This may be the last of our Haddam trail hikes. We have set up our next adventure to be in the town of Deep River, and will take a day to explore some of its historical, natural, and cultural amenities.